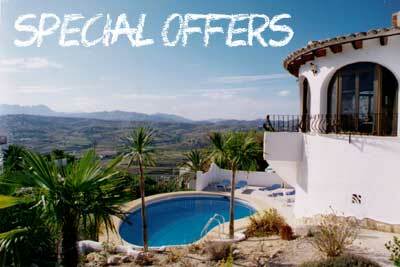 Villa rental on the Costa Blanca, south-east coast of Spain, Alicante to the south and Valencia to the north. Family holidays in Spain aren’t complete without the beach and the clear waters of the Mediterranean. 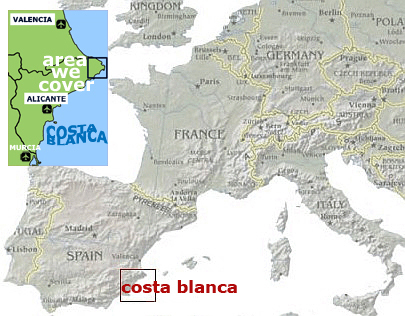 The Costa Blanca has three times the number of EU Blue Flags than any of the other Costas. EU Blue Flags are highly sought-after ratings, showing the beaches are clean, well-tended and very safe for family bathing. And, when you want to get away from the beach, you can take the family to the amazing Terra Mitica theme park near Benidorm and the Vergal Safari Park near Denia. No matter what kind of holiday you’re looking for, there’s sure to be a VillaSpain villa that’s perfect for you. The central area of Spain’s Mediterranean coast (the Costa Blanca) has been known as the White Coast for 2500 years, since Greek traders named it Akra Leuka (white headland). Its 170 miles of coast feature unforgettable sandy beaches and inviting blue-green seas. 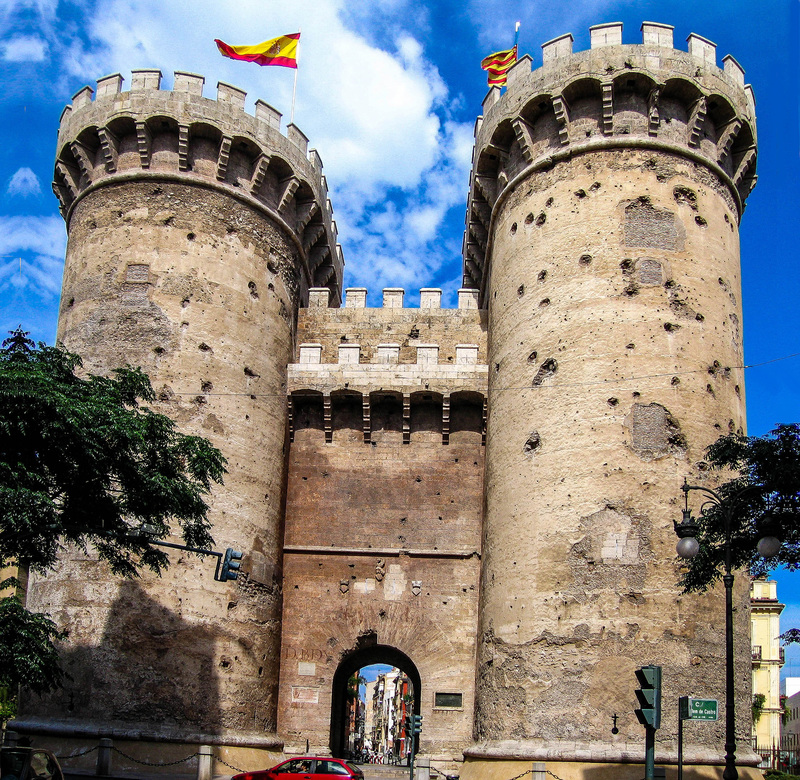 There’s a huge variety of coastal resorts – Javea, Calpe, Denia, Altea, Benidorm, Villajoyosa, Alicante and Spain's third largest city, Valencia – plus truly spectacular scenery inland, including the mountain-top fortress of Guadalest, Europe’s largest palm forest at Elche and the ancient city of Murcia. 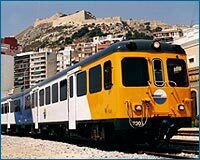 And, don’t forget to take a ride on the Costa Blanca’s famous Lemon Train, one of Europe’s great train journeys, running between Alicante and Denia. Superb Climate - the World Health Organisation has declared that the Moraira, Javea and Denia peninsula of the Costa Blanca has "one of the most environmentally perfect climates in the world." Great Sailing - Moraira has one of the most beautiful marinas in the Costa Blanca. Easy Communications - The area is served by both Alicante and Valencia airports - either of which is under an hour’s drive to Moraira, Calpe and Javea. The motorway extends all along the Costa Blanca and runs through to Northern Europe - Moraira to Calais is an easy 18 hours drive. Spain's Costa Blanca has been popular with tourists for many years, Hemmingway being a frequent visitor during the 1930's. A mild all-year-round climate and an average of 320 days sunshine each year adds to the attraction. The World Health Organisation has designated this area as possessing one of the finest climates found anywhere, particularly for people with respiratory difficulties and the EU has awarded many of the beaches in the area the prestigious "blue flag" for water quality and cleanliness several years running. In addition, modern infrastructure with low crime rates and the ability to easily reach two international airports, coupled with good quality international schooling at affordable prices, is increasing the attraction of this already popular area for new residents as well as visitors. The landscape of the Northern Costa Blanca is blessed with greenery year round, unlike that of the Southern Costa Blanca or Costa del Sol, with wonderful mountain vistas looking inland from the kilometres of beaches, or within the fabulous valleys, famous for their wine, (such as the increasingly popular Jalon Valley), or the abundant, but slightly higher elevation Citrus Valleys (notably of the Orba region). The coast is dotted with unspoilt Spanish villages and resorts, popular with vacationers and residents looking for the more relaxing side of Spain and wishing to avoid mass tourism. Twenty-four hour entertainment can still be found a short drive away from these towns and villages in the busy vacation resort city of Benidorm however, for those choosing to enjoy it. 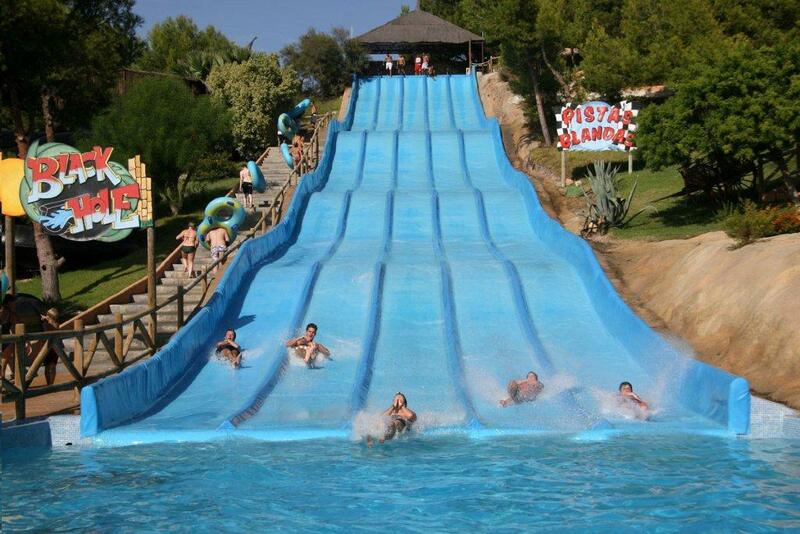 In addition the region boasts many established and new Golf courses, one of the biggest water parks and also Theme parks in Europe, as well as unparalleled water sports, both surface and sub-aqua, (there are some of the largest Marine Parks in Europe clustered within the boundaries of the Northern Costa Blanca, as well as good water conditions and visibility). For those wishing to "shop until they drop" apart from Benidorm's dozens of boutiques, shopping mall and pedestrian shopping areas, Alicante, and Valencia cities both lie within and easy car ride along the coast in either direction. 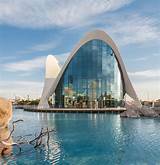 Valencia in particular also offers marvellous Aquarium, Museum and public attractions to the Visitor, as well as historical places of interest. 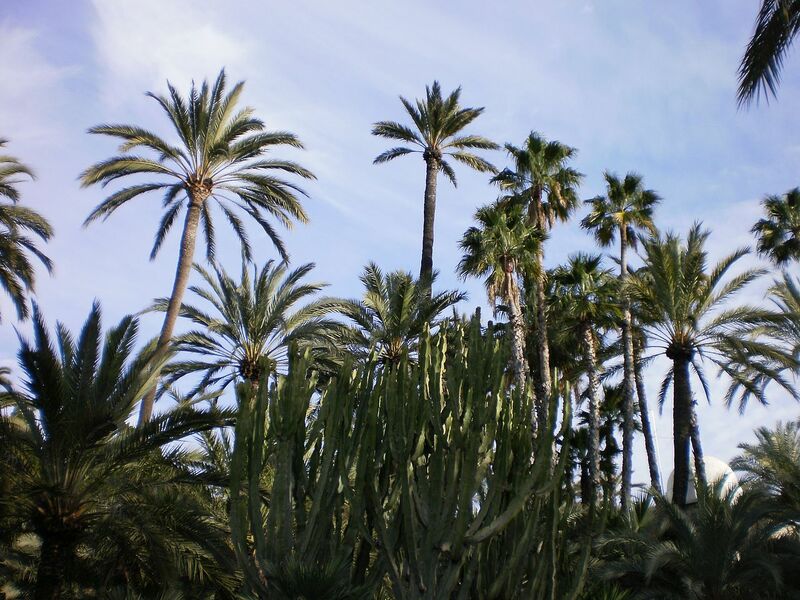 If your tastes incline more towards the countryside, you will soon discover the other side to the Costa Blanca. Those limestone hills and cliffs pretty soon turn into mountains as you head inland. They provide fantastic walking country, with well-marked paths through fragrant scrub reminiscent of Corsica’s maquis. One example is a circular route in and through the Sierra de Bernia - literally through, because part of the path is a narrow, low natural tunnel pierced through the actual mountain ridge. Even if you don’t want to go walking, it’s well worthwhile exploring inland by car. 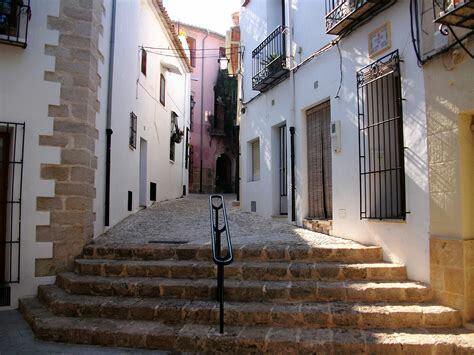 Some of the villages are well known - Guadalest is offered as an excursion to every package tourist on the coast - but others, like Castel de Casrels, are out of reach of coaches and pleasant to wander around. On an inland drive, you’re guaranteed amazing views and beautiful countryside. And one nice aspect of this part of Spain is that you're never far from a restaurant, often offering lunch on a shady terrace with stunning views. Not that you necessarily need a car to enjoy the Costa Blanca. There’s a charming narrow gauge railway that sways and rattles all the way from Alicante to Denia, with stations at all the main towns. It’s worthwhile as an experience in itself because it gives a quite different view of the countryside, away from the main roads, and can be quite exciting as it plunges through tunnels and over bridges. But it’s also worth taking the train into Alicante for a city awayday - it’s an impressive, vibrant city with an attractive waterfront and great shopping and restaurants. The shopping experience back in the smaller towns tends to revolve around their thriving local markets (any tourist office will give you a list of market days for each town and village). 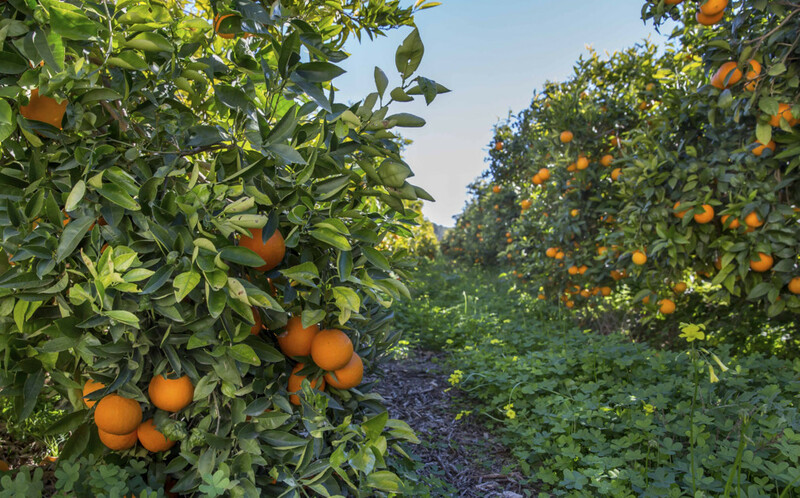 Hundreds of stallholders will vie to sell you their freshly picked local produce - this is, after all, the part of Spain that supplies a large part of the fruit and veg sold in British supermarkets, though they do of course keep the tastiest and freshest for local consumption! But it isn’t just food - pots and pans, clothes, leather goods and plenty more are all on offer. Talking of shopping, what will probably strike you about the town centres is that they are far less dominated by national chains than at home. Although there are plenty of big supermarkets, most shops are still family-owned and it’s easy to find the sort of jam- packed ironmonger or haberdasher’s shop that disappeared years ago. Shoe shops, clothes shops, electrical shops - there are dozens. It all makes for a rather jolly experience, even if you view shopping as an occasional but, regrettably, inescapable chore. Which town should you choose? In a way it doesn’t matter, because all have their individual charms. 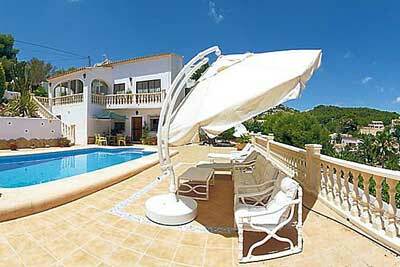 Moraira and Javea have perhaps the best villa choice, with Calpe attracting those who like a more livelier holiday. 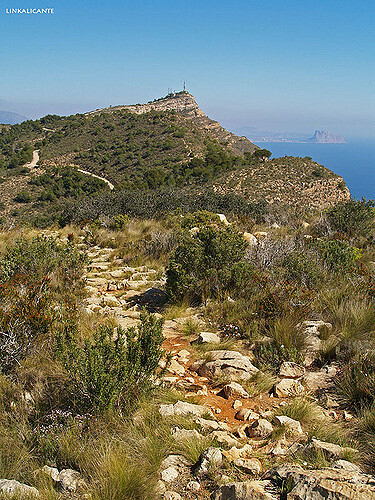 Javea is mainly flat, with the Montgo mountain that dominates the view inland. It’s a very pleasant town with nice beaches, good restaurants and an old centre. Moraira is smaller and doesn’t have much of an old centre, but it’s a friendly yet stylish resort offering a choice of the main town beach or the smaller El Portet beach, which is quite narrow but backed by a fringe of restaurants which are great for lunch or watching the sun go down. Denia is another town with a great beach and an attractive centre. 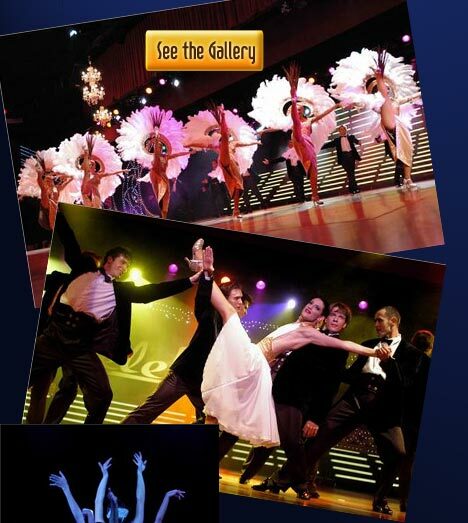 Calpe, as mentioned, has alot to offer all ages and you can take or leave the wide range of entertainment on offer. 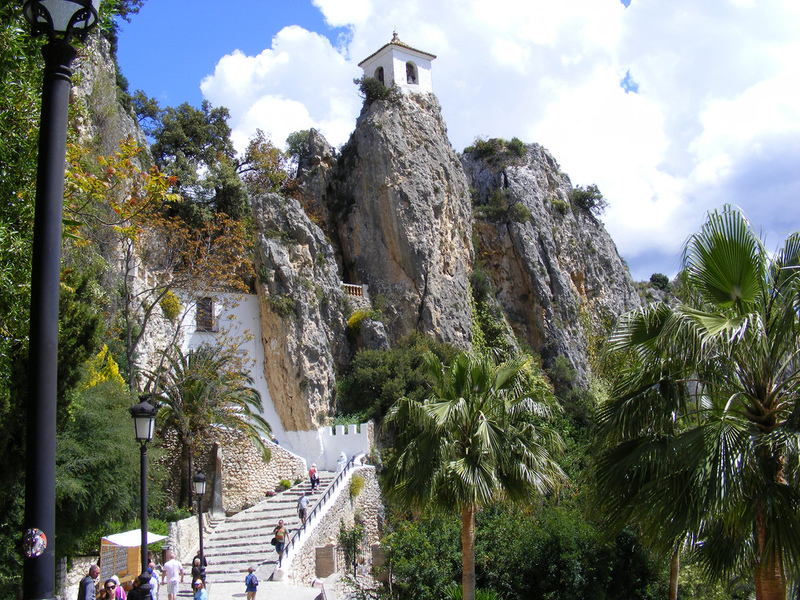 Denia is almost the last gasp of the Costa Blanca, and the end of those limestone cliffs, because the next town to the north, Gandia, marks the start of the Costa del Azahar (‘Orange Blossom Coast’) in the province of Valencia. It’s surprising how quickly the coastline changes, as along most of the Costa del Azahar there’s a flat coastal plain (covered, unsurprisingly, in orange plantations) fringed by long, straight beaches. Going back south, Calpe is an interestingly different town. By-passed both by the motorway and the old N-340 main road, it feels pleasantly out-on-a-limb, with no through traffic. Nevertheless, it’s a bustling place, serving as a shopping centre for many of the scattered villa developments in the area. It has two huge and several smaller beaches - the main town beach is much bigger than it used to be, thanks to cunningly designed stone piers - and long, traffic-free promenades that wind behind them. Walk far enough along the town beach promenade and you reach the thriving fishing harbour. The Peñon de Ifach, that much-photographed hunk of rock that soars 1,000 feet vertically from the sea, towers above it. Also towering over Calpe, but dwarfed by the Peñon, are increasing numbers of high- rise apartment blocks. They’re not to everyone’s taste, but many provide superb views and are closer to the sea than most villas. Anyway, to compensate there’s a nicely restored old town. From Calpe you can just - on a clear day - see the tower blocks of Benidorm, some 20 kilometres away. Before that, there’s Altea, a charming town with a particularly fine hilltop old centre. And after Benidorm, getting closer to Alicante and its airport, there’s a string of towns with attractive villas and old townhouses, including Alfaz del Pi, Villajoyosa and Campello. Despite the non-stop building of the last 30 years or so, the Costa Blanca doesn’t, for the most part, feel over-developed or spoilt. Each of the towns and country areas has its own fans. 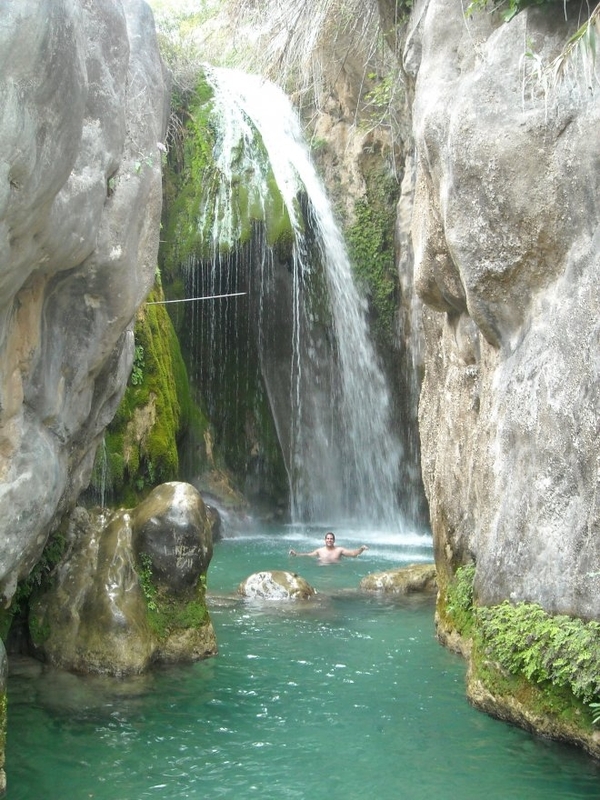 If you don’t know the Costa Blanca, get out there now, hire a villa and car and prepare to explore - and enjoy yourself.